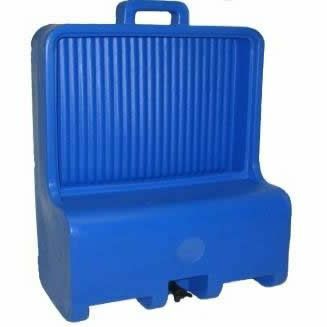 The 25 litre “TIP & RUN” bunding tray is the latest secondary spill containment innovation. Manufactured from durable polyethylene plastic for long life, the 25 litre “TIP & RUN” is fitted with roller castors and a dispensing tap for easy handling and storage. 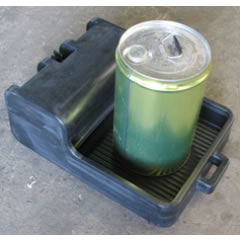 Drain fluids onto the tray simply pick up and all the fluid runs into the holding tank. Empty from the tap on the side when ready. For the small workshop or a large factory, the 25 litre “TIP & RUN” will catch, capture and store oils and fluids or safely hold a leaking container to limit product leakage in the workplace.